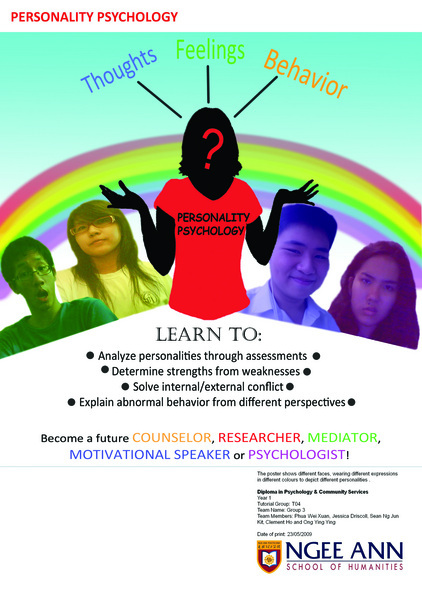 I am currently a Psychology student in Ngee Ann Polytechnic (graduating in 2011) interested in interning for charities, human resource departments and psychiatric practices. I am very hardworking and have had experience with administrative tasks, I also have good social skills and I am a fast learner. Interned for Lick Wilmerding High School's Philantrophic department for 2 months. Dealt with research and database computing. Able to use basic Microsoft applications like Microsoft Word, Windows Movie maker, PowerPoint and Excel. Capable of illustrating using Adobe Photoshop. Familiar with alternative video editing software, namely Adobe Premiere Elements.